Jonathan Friedman, CEO and President of PRN Advisors, has contributed a column to Becker’s Healthcare on establishing a perioperative surgical home (PSH). Friedman’s experience with developing successful PSH programs gives him tremendous insight into the topic. In the piece, titled “10 things to know about setting up a perioperative surgical home,” Friedman explains why the PSH model is an optimal solution for hospitals to control costs and maintain margins. He then provides guidance on key points that hospital executives need to know about developing a PSH. 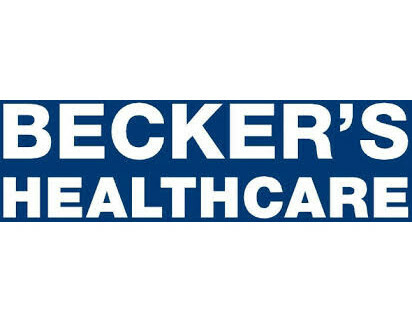 To access the Becker’s column, click here. November 3, 2015 — PRN Advisors is excited to announce it has invested in a cutting-edge software system for the second generation of the PRN Advisors Coder Database for healthcare coders. This system will allow PRN Advisors to match professionals in the network with employment and other work opportunities. Joining the Coder Database is free. Coders just need to fill out a registration form found at www.prnadvisors.com/coder-database. The new database is part of the next stage in PRN Advisors’ evolution. 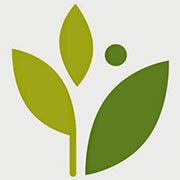 The company has received an increasing number of requests for coding and billing opportunities, with many organizations asking PRN Advisors to screen candidates and employment opportunities as a means to authenticate the job openings since many job postings found online are used to gather information on individuals as opposed to providing legitimate job opportunities. Healthcare professionals are encouraged this news and the link to the registration form with friends and colleagues in the industry. athenahealth, a provider of cloud-based services and mobile applications for healthcare providers and strategic partner to PRN Advisors, has announced several significant new relationships in 2015.
athenahealth and NewYork-Presbyterian announced a new collaboration that will see the academic medical center, through its physician Services organization (NYPPSO), provide the NewYork-Presbyterian Medical Groups management of their physician practices through implementation of athenahealth’s electronic health record (EHR), practice management and patient engagement services. The collaboration will benefit more than 800 physicians and an additional 300 licensed professionals. athenahealth also announced it had purchased webOMR, the web-based clinical applications and electronic health record platform developed by Beth Israel Deaconess Medical Center in Boston. In conjunction with the purchase, the organizations entered into an agreement to collaborate on the development of athenahealth’s acute care service offering that will support the needs of large hospitals and health systems across the country. Beth Israel Deaconess Hospital-Needham will serve as the alpha development site for this new inpatient service. Additionally, Beth Israel Deaconess Healthcare will phase in an implementation of athenahealth’s athenaOne suite of EHR, revenue cycle management and patient engagement services. The University of Alabama at Birmingham, home to the UAB Health System, and athenahealth announced UAB Medicine is implementing athenaCoordinator Enterprise patient access services, which streamline care transitions and patient referrals, in The Kirklin Clinic of UAB Hospital. athenahealth and CareWell Urgent Care announced that CareWell selected athenaOne to integrate its growing network of urgent care practices. CareWell will replace its current vendor for athenahealth’s EHR, practice management and patient engagement services. Trinity Health and athenahealth announced Trinity Health will implement athenaOne in some of its physician network offices. These sites will also leverage athenaCoordinator. athenahealth and Florida Cancer Specialists & Research Institute (FCS) announced that FCS selected athenaCollector revenue cycle and practice management services as part of a pilot program which will be implemented in phases to support its team of 300 health care providers. July 22, 2015 — PRN Advisors, a leading national provider of healthcare consulting and business services, announces the official launch of a new service line that will help healthcare organizations greatly reduce their costs. PRN Advisors will provide Expense Reduction Services through partnerships with consultants who are experts in healthcare expenses. These consultants have already helped numerous healthcare organizations save tens to hundreds of thousands of dollars. Clients include hospitals and outpatient care facilities, physician practice groups, home health care services, nursing and other residential care facilities, diagnostic imaging centers and medical laboratories. When an organization partners with PRN Advisors for Expense Reduction Services, a consultant, assigned to the organization, works to identify savings opportunities in numerous areas, including medical supplies, pharmaceuticals, insurance, payroll, employment services, maintenance contracts and telecommunications. Using sophisticated analytic tools and benchmark pricing data from thousands of successful cost-reduction projects, consultants are able to deliver savings that average nearly 20%, with many organizations reducing expenses well above that figure. Savings are identified quickly, usually in less than 90 days, without compromise to quality or service. Once savings projects begin and changes are instituted, consultants continue to work with clients to ensure initiatives are successful and savings projections are achieved. If consultants are unable to identify and achieve savings, there is no fee for the organization. To learn more about how PRN’s Expense Reduction Services can help your organization, contact PRN by clicking here, emailing info@prnadvisors.com (Subject: Expense Reduction Services) or calling (914) 712-8711. PRN Advisors, a leading national provider of healthcare consulting and business services, announces the addition of Cinzia Lawrence to its leadership team. Ms. Lawrence will serve as a physician group advisor. 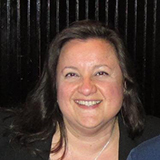 She comes to PRN with over 25 years of experience as a leader in large, multi-specialty group operations and finance, and possesses a high level of expertise in revenue cycle management. Ms. Lawrence currently analyzes medical practices operationally and financially, providing solutions for profitability and efficiency and produces results-oriented strategies. She also vets out potential strategic partners and works with corresponding practice’s board of directors through the vetting process where indicated. Ms. Lawrence has served as an executive leader in roles such as CEO, associate COO, regional director and executive director for large multi-specialty and single-specialty groups with over 400 physicians and staff compliments of over 2,000, including Queens-Long Island Medical Group, Urology Associates and NRAD Medical Associates. Other highlights of her career include receiving a recognition award for her participation in achieving NCQA accreditation for HIP of Greater New York; establishing a cardiac prevention program to reduce recidivism and improve patient care outcomes; establishing and managing urgent care programs within the facilities she managed; overseeing build-out and construction of new offices under her management; leading operational finance committees; and leading group-wide quality improvement initiatives. Ms. Lawrence graduated from St. John’s University with a bachelor’s degree in healthcare administration and is pursuing an MBA in healthcare from Dowling College. Ms. Lawrence is a member of the Medical Group Management Association and the American College of Healthcare Executives. 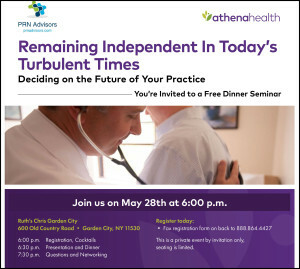 Jonathan Friedman, MBA, CPC, founder and president of PRN Advisors, a leading national provider of healthcare business services including coding, auditing, HIPAA security, information technology and operations management, will be the featured guest speaker at an upcoming dinner seminar hosted by athenahealth. athenahealth is a leading provider of cloud-based services for EHR, practice management and care coordination. 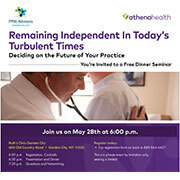 The complimentary seminar, which takes place the evening of May 28 in Garden City, N.Y., is titled “Remaining Independent In Today’s Turbulent Times: Deciding on the Future of Your Practice.” The event is for physicians, office managers/practice administrators and practice owners. Mr. Friedman has served as advisor to many top tier investment banks in healthcare. During the seminar, he will share insights from his experience and explain why he is directing healthcare leaders and investors away from consolidated organizations to the independent practice. Attendees will learn how to position their practice to financially succeed; use technology to leverage their practice; understand the various payment methodologies in simple terms; and connect and integrate with hospitals and other entities. To learn more about the event and register, click here (pdf) or the image below. Seating is limited, so reserve your seat today. PRN Advisors, a leading national provider of healthcare business services including coding, auditing, HIPAA compliance, information technology and operations management, announces the launch of a new company website at www.prnadvisors.com. The website was designed based on input from clients and team members. It is intended to clearly communicate PRN Advisors’s value proposition of delivering critical business services to healthcare organizations while also providing a wide-range of resources to help professionals succeed in the ever-changing, ever-challenging healthcare environment. PRN Advisors Database — Coders, billers, auditors, educators and trainers looking for work are encouraged to join the free PRN Advisors database. By entering their information into the database, they instantly become part of the PRN Advisors pool of job candidates. PRN Advisors connects highly skilled individuals with organizations in need of services. Jobs and Internships — Healthcare organizations looking to fill an open job or internship can submit the details on the available position to be posted on the PRN Advisors jobs and internships board while professionals looking for a job or internship can review the latest openings. PRN Coders Network Listserv — This free listserv brings together coders and coding experts from throughout the country to discuss coding and billing challenges. athenahealth Partners — PRN Advisors has attained the elite status of being an athenahealth strategic partner. This listing identifies and describes companies that have been chosen to partner with athenahealth, and encourages visitors to contact PRN Advisors for an introduction to these companies. PRN Affiliates — The PRN Affiliates program identifies other companies that complement and partner with PRN Advisors. Visitors are encouraged to contact PRN Advisors for an introduction to these companies. Blog — The PRN Blog provides insight and analysis of critical news, trends and developments affecting clients of PRN Advisors. 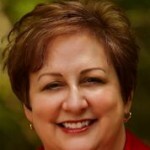 PRN Advisors, a leading national provider of healthcare business services including coding, auditing, HIPAA compliance, information technology and operations management, announces that one of its Coding Advisors has been selected to serve as interim director of professional coding for Wake Forest Baptist Health in Winston-Salem, N.C.
Mary Pat Whaley, FACMPE, CPC, assumed the position in November 2014. As interim director of professional coding, she will assist the corporate revenue cycle team with upgrading the organization’s electronic medical records system, prepare for the transition to ICD-10 and develop an enterprise-wide coding library for professional and facility coders. Ms. Whaley has more than 25 years managing physician practices of all sizes and specialties in the private and public sectors. She is one of the preeminent physician advocates and practice management consultants in the United States today. In addition to her board certification in medical practice management, she is also a certified professional coder and a fellow in the American College of Medical Practice Executives. Ms. Whaley has previously served as interim director of professional coding for Steward Medical Group in Boston and McKesson Corp. in Lewiston, Maine. Ms. Whaley serves as one of PRN Advisors’s National Coding Advisors (PNCA). PNCA is comprised of nationally renowned coding and audit experts who lead and audit all PRN Advisors’s engagements. As a PNCA, they are held to rigorous standards including educational requirements encompassing teaching, speaking engagements and publishing. PRN Advisors, a leading national provider of healthcare business services including coding, auditing, HIPAA security, information technology and operations management, announces it has formed a strategic alliance with athenahealth. athenahealth is a provider of cloud-based services and mobile applications to more than 62,000 healthcare providers in medical practices and health systems nationwide. It is one of the fastest growing companies in the nation. As a partner of athenahealth, PRN Advisors will provide requested coding, auditing and compliance services to athenahealth clients across the country. In addition, PRN Advisors is athenahealth eLearning-certified, and will provide requested operational support and strategic consulting services to athenahealth clients.